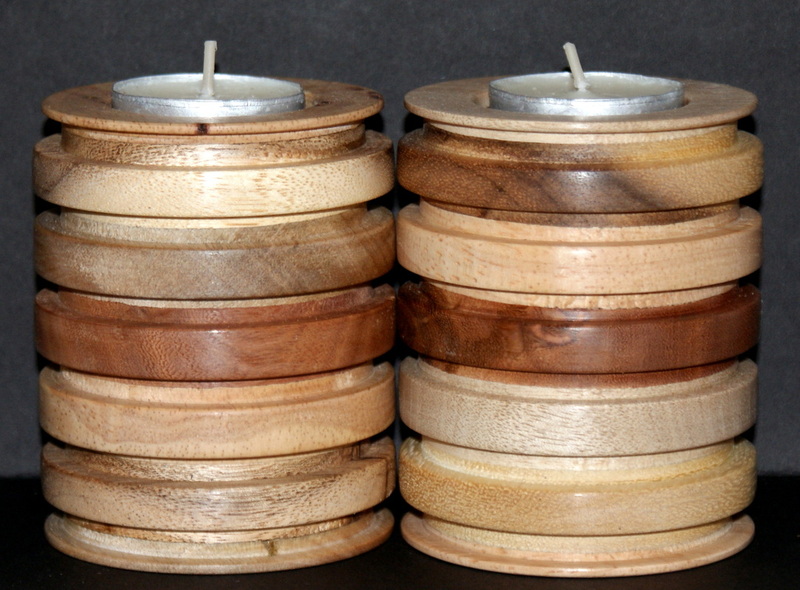 Set of three tea light holders made from reclaimed wood,the faults and nail holes have all intentionally been left which gives this set of tea light holders an authentic recycled look. Set of two tea light holders made from reclaimed pallets. 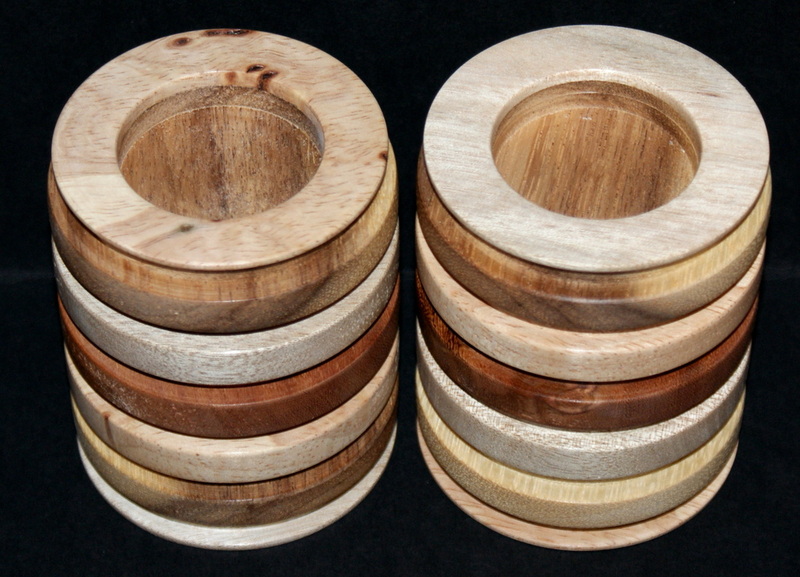 The wood is cut up into sections then arranged in a way as to show off the different characteristics of the wood and gives the tea light holders a unique look. A pair of simple tea light holders they are made from pine and turned on a lathe and finished with a natural beeswax polish, a nice little set of tea-light holders.